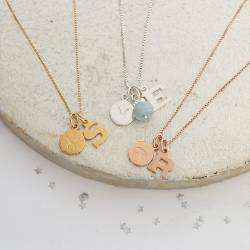 Offered in sterling silver, yellow gold, or rose gold to complement every taste, the Zodiac Disc and Heart Charm Necklace is an exceptional piece of jewellery. 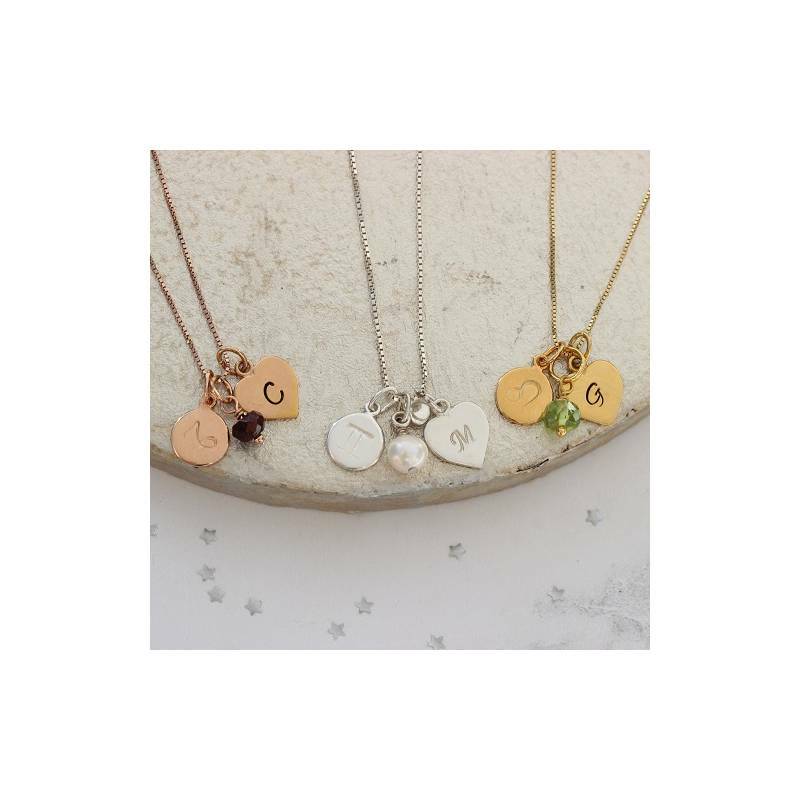 Impeccably styled to complement every item in the wardrobe, it is a real day to night piece that can be dressed up or down to suit any occasion. 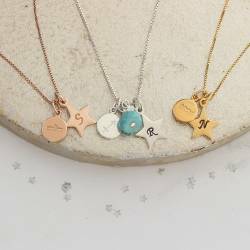 Available to purchase with or without a genuine gemstone, the Zodiac Charm Necklace features a fine box chain embellished with two handcrafted charms. 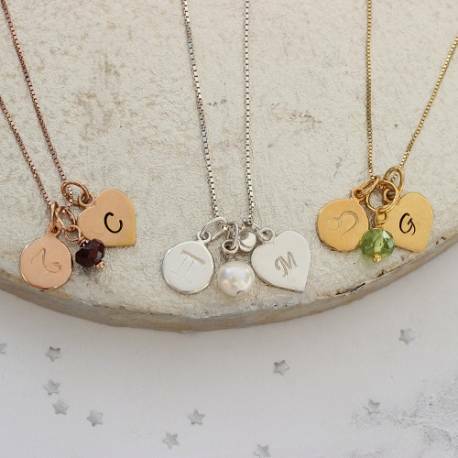 The disc shaped charm comes with your chosen zodiac motif, while the heart shaped charm can be personalised with any letter to create a bespoke jewellery gift. 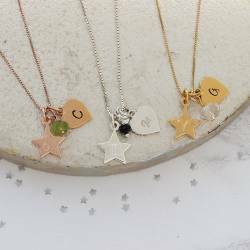 Once we’ve created the perfect personalised necklace for you, we’ll carefully package it in one of our beautiful black gift boxes with a zodiac gift card for the star sign you select. We’ll then finish it with a flourish of ivory ribbon ready for you to give to the lucky lady. 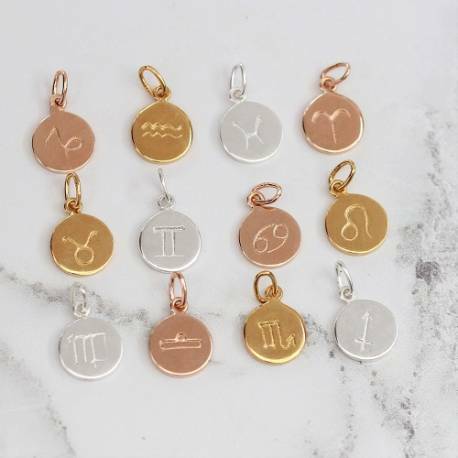 The Zodiac disc charm is approx. 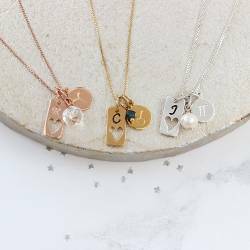 .9cm with the loop it hangs approx 1.5cm from the chain.